Budding and established entrepreneurs from across Lancashire are invited to learn about creating the perfect pitch. 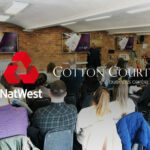 NatWest will be holding a pitching-based taster session for its Pre-Accelerator programme at Cotton Court Business Centre, Preston. 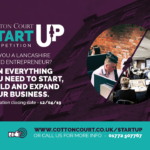 The session will coincide with the Cotton Court Start-Up Competition which sees entrepreneurs from across the Red Rose County pitching for a chance to win everything they need to start, build and expand their business. 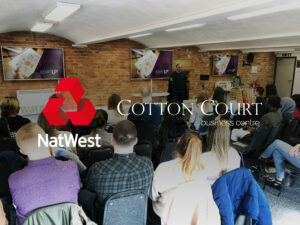 Later this summer NatWest will be bringing its full Pre-Accelerator workshop to Cotton Court. The session is designed for early-stage businesses looking at ways to grow and enhance their business ideas. The programme is part of NatWest’s three-stage business accelerator scheme which is delivered across the UK. 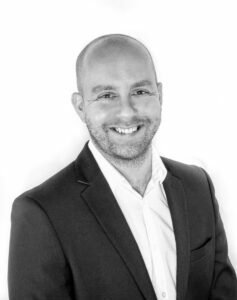 The Preston based group that operates Cotton Court Business Centre and operates a number of leisure, tech and property businesses, has appointed an Interim Marketing Director on a 6-month agreement to support a period of growth & development. Jack Barron, who is originally from Preston, joins the group after a number of years living and working in Manchester. 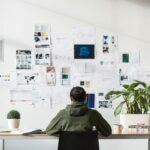 The 30-year-old initially moved to Manchester to pursue a career within a city centre media agency, working his way to becoming a director in the company, and achieving his Masters from Manchester Metropolitan University. 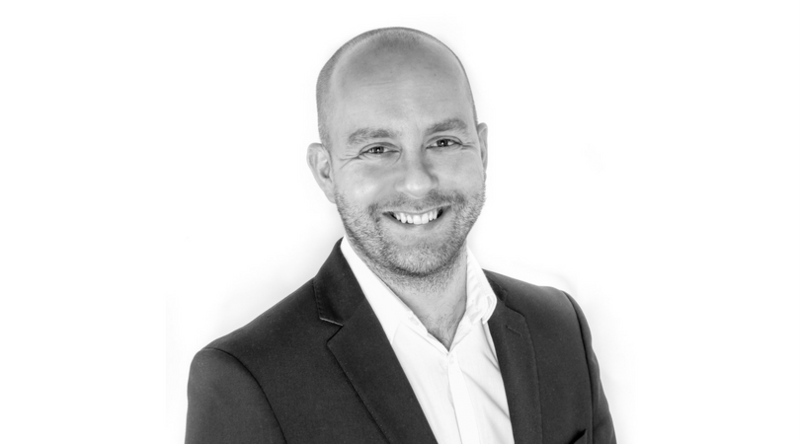 He broke away last year to set up his own consultancy business, specialising in helping small to medium sized businesses, a business he still operates across Lancashire & Greater Manchester. “I couldn’t be happier taking on this role with the Cotton Court Group. There are a wide variety of businesses within the portfolio for me to get stuck into and do good work for, but I’m especially looking forward to working on the Cotton Court Business Centre side of things. My passion is helping SME’s, which aligns perfectly with what Cotton Court have been doing for many years.” The former UCLan student said. 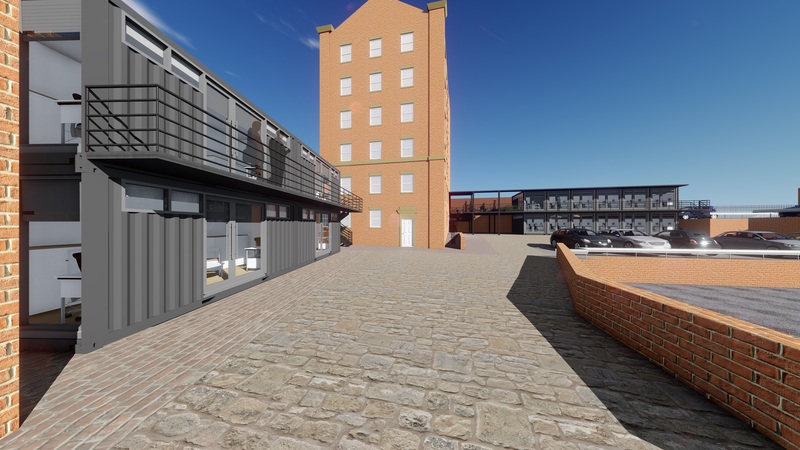 “There’s loads going on at Cotton Court in the very near future with the pods being built, expansion of our service offering, the free events and resources we’re running for small businesses and a number of things that haven’t been announced yet. It’s not just a period of growth for Cotton Court, it’s a period of growth for Preston. You only have to look at the recent investment in the City Centre and Queens retail park. I’m glad to be back and to be a part of it.” He continued. The Cotton Pods are a new development at the Church Street site, announced in September of this year. Utilising specially adapted shipping containers to increase the overall capacity of the site, they’re expected to be in operation early in the new year. Big media hubs such as Manchester and London have historically been responsible for taking much of the young talent out of the smaller towns and cities such as Preston. The recent development and investment into Preston could prove to be a turning point for retaining & attracting that talent. The Cotton Court Group aims to build on that more by funneling new Manchester based talent through its new Media City office on Salford Quays, and back towards its other businesses in Preston. 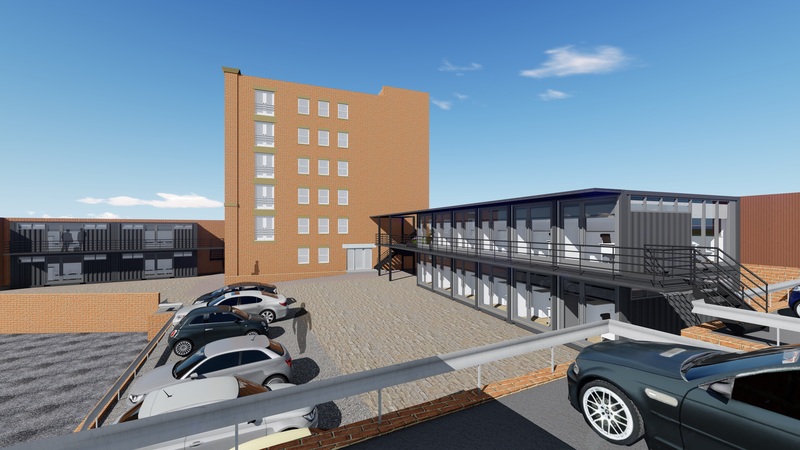 “It’s very positive news to learn about Cotton Court’s expansion plans. As a city we’ve already seen the business centre grow and develop to support many fledgling businesses and the wider city community. The organisation has actively embraced city life and are exemplary in their corporate social responsibility strategy. 2018 will be an exciting year for the city and it’s great that businesses like Cotton Court are pushing from the front to add value to Preston’s city centre” said Mark Whittle, Manager at Preston Business Improvement District. Already in post, Jack has started work on a number of important projects. “I’ve really hit the ground running thanks to the support of Robert and the team. I think it’s especially nice and certainly reflective of the group ethos, that my first project was working on the Barnardo’s Christmas Toy Appeal and the next one was involvement in a free event for local entrepreneurs and business owners. I’m looking forward to working across the group portfolio but especially working with local small businesses to help them develop & grow alongside the rest of the City”. 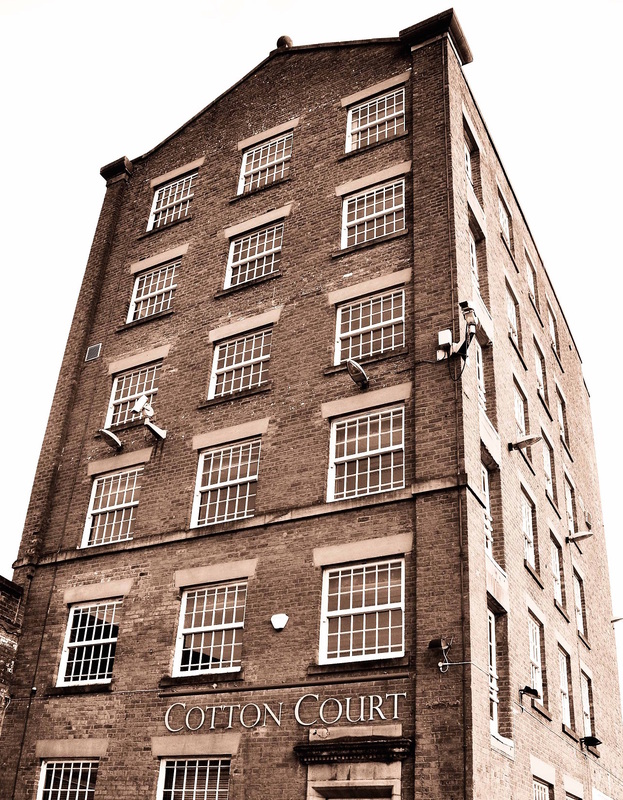 Cotton Court is an old 19th Century Mill, providing incubation for start-ups and services for small to medium sized businesses. It provides physical office space, hot desks and conference space, as well as virtual & administrative services. 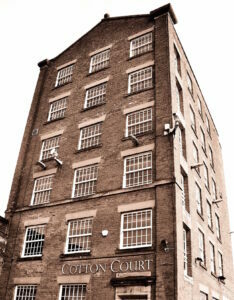 It acts as the flagship business and headquarters for the Cotton Court Services group, which boasts a portfolio of leisure, property, tech and social enterprise operations. Over the years we’ve been in business, we’ve developed a reputation as being the ‘go to’ guys for advice, or just to run ideas by. Our team is powered by a wide variety of disciplines, so we’re usually in a good position to help. The only thing that really holds us back is time. Like most people in business, time can sometimes feel like it’s working against us. The hours in the working day fly by, and sometimes it feels as though you haven’t completed half of what you needed to get done. It can be frustrating, stressful and bad for business. When people come and ask us for our advice or just to pick our brains, we always have the good intention of helping, but sometimes our complicated relationship with time gets in the way and we just aren’t able to. We don’t like disappointing our friends and colleagues, so we’ve been thinking of ways that we can help as many people as we can, whilst not affecting all our essential tasks. We’ve decided to team up with Kennedy Ross Consulting to tackle that problem, and bring you a series of FREE events hosted at Cotton Court Business Centre. The events are aimed at helping business owners, managers or even just people thinking about starting a business overcome the main issues they face, and the main barriers to just ‘cracking on with it’ in business practice. It doesn’t matter whether you’re currently on our Christmas Card list, an existing Cotton Court Customer or we’ve never had the pleasure of meeting. 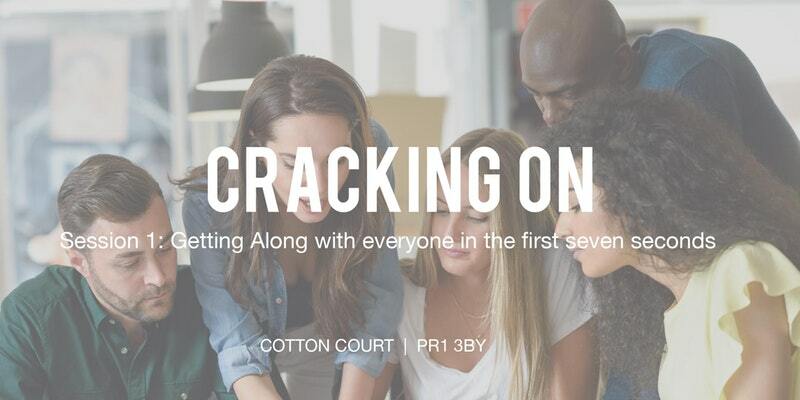 The ‘Cracking on with it’ events are free and open to anyone looking to be more productive, improve their business and develop their skills. The first event is just around the corner, with limited spaces filling up fast. If you want to further your skills and develop your business, sign up free of charge now. The first event is focused on a truly universally applicable skill, getting along with people. Relationships are just as important in business as they are in your personal life, and getting off on the right foot can make a marked difference in your businesses success. The event titled “Getting along with everyone within the first seven seconds” promises to be an insightful, fun and useful session, that is already generating lots of interest. Grace joins the Lancashire Apprenticeship Ambassador network! October 31, 2017 By Grace Bennett Comments Off on Grace joins the Lancashire Apprenticeship Ambassador network! 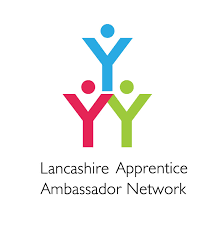 Lancashire Apprenticeship Ambassador network is a country-wide drive to increase training and employment opportunities for young people and improve their skills. It was also established to allow businesses and employees a chance to see how beneficial it can be for a company to have an apprentice in the workplace. Lancashire Apprenticeship Ambassadors are all either current or former apprentice who was to talk about the highlights and benefits of taking part in the apprenticeship programme and help them find out more information. The ambassadors visit schools and careers fairs to speak to teachers, parents and children to encourage them to either take on or become apprentices. apprenticeship so I can expand my skills in the workplace whilst still learn and stay in education. My role is varied and a typical workday involves me answering calls for either customer’s within the building when they’re otherwise engaged; answering calls for virtual offices which I then email to inform them so they can get back in touch. It also involves setting up and organising conferences which are held within the building on a daily basis; whether that be groups of 4 or 104. On a daily basis, I also handle all the mail for our virtual office customers, office and desk clients. As well as, making sure all conference rooms are presentable and clean throughout the day and making sure our clients’ needs are met. In the future, I would like to be in a job which I enjoy also one which will broaden my horizon for the forthcoming years. I would also like to say that I manage all virtual office customers and enquiries and that I would like to build my way up to a managerial role. We had the pleasure of welcoming Pink Link in to the building last week, and Coral will be holding an event here monthly going forward. Pink Link is a company that promotes female enterprise through their website, social media, networks, events and awards. I was asked to be this month’s guest speaker and informed the ladies about what we do here and the services that we offer. There was a varied amount of businesses there and it was great to meet and connect with them all. A lovely group of ladies and all very welcoming to new members like myself. I even walked away with a goodie bag! Looking forward to the next one and meeting more lovely like minded business women. 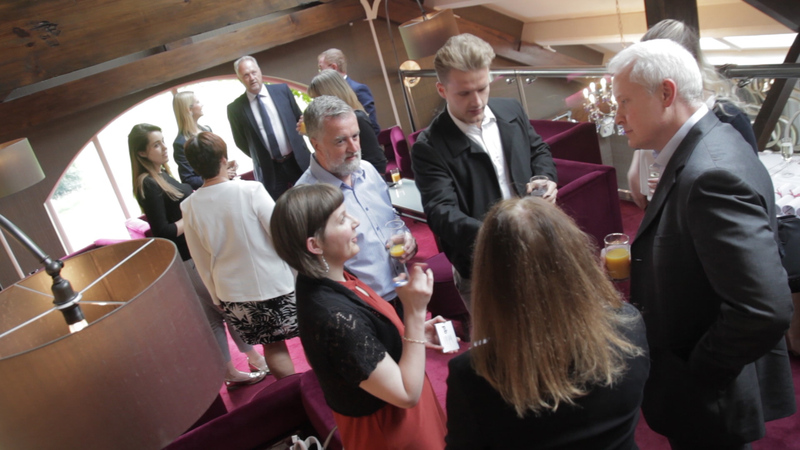 Lancashare, the counties new online platform filled with free information and resources for Lancashire based businesses, held it’s first sponsor event this August at the award winning Stanley House Hotel & Spa! Lancashare has received phenomenal buy in from businesses across the county in it’s first 8 months of operation attracting membership from hundreds of businesses across the county. Cotton Court are proud to be sponsors of their ‘Office Space’ pages and were invited along to the VIP event with around 35 other sponsors. Downtown in Business Lancashire have got some great events in the next few weeks! Have a look below and click the links to sign up! No matter the size of your business, if you have devices connected to the web, you are vulnerable and can be exploited, even held to Ransom!Following the second global attack, we will look at the probability of an attack on smaller businesses. What are the implications, and can you defend your digital asset in the event of a cyber invasion? Virtually every Internet-facing entity will have exploitable vulnerabilities by either a deliberate or opportunistic attack, without specific measures in place. Our specialist experts include Jeremy Coates, CEO of Magma Digital, Ian Hudson MD of Hudson Hill, and Mark Pegram of Sanitas Data Security. They will outline the numerous issues that can affect your business, and guide you through effective initiatives in safeguarding your digital assets. 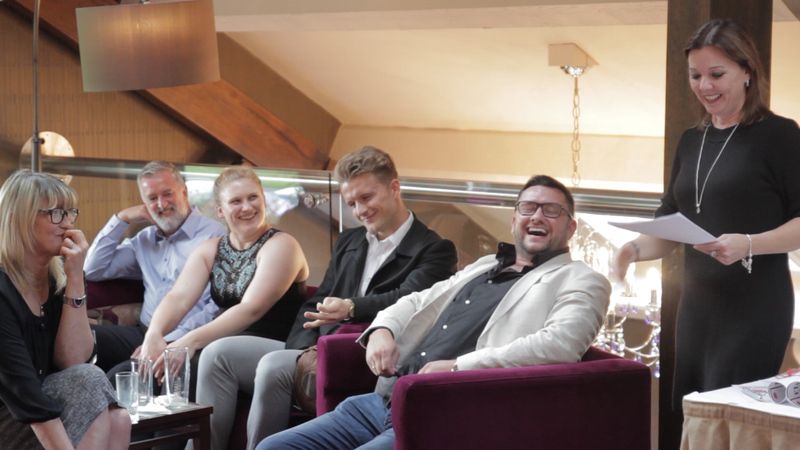 Downtown celebrates the summer with Schools OUT at the fabulous Review Bar located in Preston Guild Hall.Schools OUT is a great way to connect with new prospects and catch up with old. 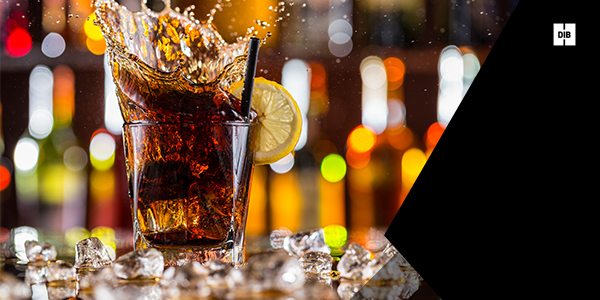 Enjoy a welcome drink and some munchies, compliments of the Review Bar. Please feel free to invite your colleagues and client. As part of the Lancashire Arts Festival, the University of Central Lancashire has three free business events, which may be of interest to you. Please find details and online booking links below. Are you looking to develop your workforce, recruit graduates or access expertise? This event is open to professionals from all organisations, inside and outside of the creative industries, who are keen to engage with the University of Central Lancashire’s creative talent. You will get to meet like-minded business people, students, course tutors and key colleagues from the University’s careers, placement and partnership development teams. The networking lunch is just three hours long, but you can stay for longer if you have time. Immediately following, at 3.00pm, is the Lancashire Arts Festival Awards Ceremony with guest speaker Charles Hadcock, sculptor, businessman and Chairman of Creative Lancashire. Then at 4.00pm, we have the Private View of our architecture, design, fashion, fine art and media degree shows. Last year around 1,500 people attended the Private View and we can guarantee that there will be a huge buzz and celebratory feel in all of the buildings with lots of opportunities to network. If you are a decision maker in a fashion, textile or lifestyle related business you may be interested in attending the University of Central Lancashire’s fashion show as previewed at Graduate Fashion Week, London. This event is perfect for those scouting for talented students to work in their company. An exhibition of architecture, design, fashion, fine art, media and performance. The expert curatorial team, led by 2017 Turner Prize nominee Professor Lubaina Himid, will showcase the work of final year students from UCLan who have been shortlisted for the Lancashire Arts Festival Awards, sponsored by Creative Lancashire. The Official Opening includes drinks and canapés on arrival, performances and a special guest speaker Patrick Grant, Creative Director of Savile Row tailors Norton & Sons and menswear line, E. Tautz and resident judge on the BBC’s ‘The Great British Sewing Bee’. May 15, 2017 By Grace Bennett Comments Off on UCLan Launchpad Celebration Ball! 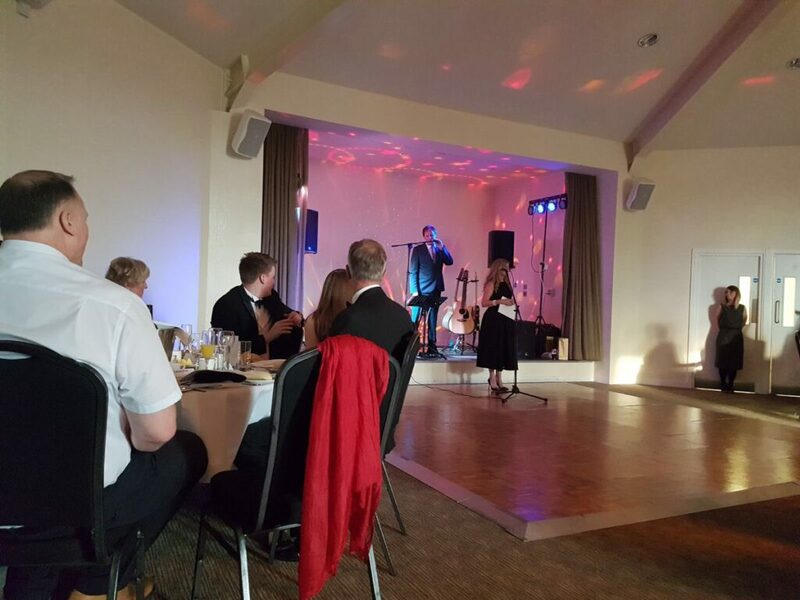 The Cotton Court team enjoyed a night at the UCLan LaunchPad ball at The Samlesbury Hotel. We also invited some of our clients including Tienda Digital, Ambledeen, Together We Balance, Bird, Lancashare and Invoke Media! The LaunchPad ball is a celebration of all of the groups of students that have been through their programme. 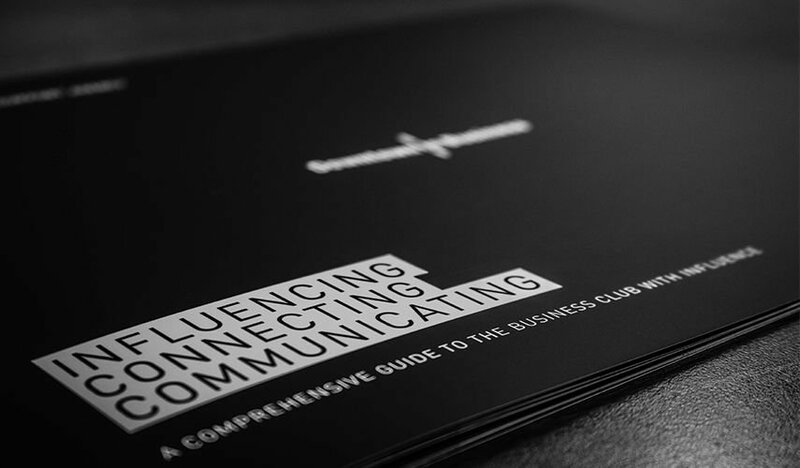 The LaunchPad leadership development programme is unique to the School of Business and the School of Management at UCLan and provides students with opportunities to enhance their professional skills allowing them to become the global leaders of the future. LaunchPad students learn about the challenges of the current job market from employer and graduate perspectives and the leadership approaches needed to address them, in both theory and practice. We are also welcoming back the LaunchPad team and their new selection of students into Cotton Court for a weekend of challenges! Thanks again to Fran and the LaunchPad team for inviting us! We had a great time! HM Network Ltd have taken the initiative following interest from a number of councils, chambers of commerce and ERDF supported growth programmes, to set up a number of awareness events with a simple aim – to help share knowledge on how the current Data Protection Act will be replaced with the General Data Protection Regulation (GDPR) as of 25th May 2018. That’s just over a year away. They recently held an event at Cotton Court highlighing what business need to do in order to keep up with the new regulations! Below is just a sample of what was covered! To find out more visit their website here! This will affect all businesses that hold any type of personal customer/staff data that can be traced back to an individual whether B2B or B2C. 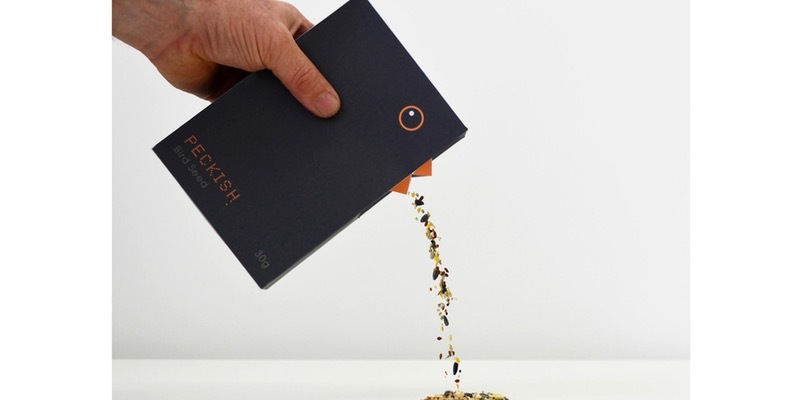 Whether you market to customers or simply hold staff records this will affect you in some way. No market sector is outside the scope – some sectors are even classed as ‘sensitive’. So where do you sit? Financial consequences are potentially huge. Data Breaches could result in fines of €10M / 2% of Global turnover or, for serious breaches, €20M / 4% of Global turnover whichever is higher. Whether you run a marketing company, store customer data on a loyalty card, have XLS spreadsheets of names and addresses it WILL affect you. Regardless of Brexit these fines the UK ICO will enforce this as GDPR standards will become part of UK Law. Some of your B2B or B2C partners may not be able to do business with you if you are non-compliant and lastly the reputational effect to customers of not treating the protection of data privacy seriously means steps must be taken. ● What to prepare and understand your current situation? ● Do I need a Data Protection Officer (DPO)? ● How to ensure your business becomes and stays compliant? ● Could a malicious competitor of ours use GDPR against us? ● Who can help providing advice throughout the process? Please find below a very useful link for reference. It is a list of recent actions from the ICO (Information Commissioners Office) for fines / prosecutions issued to individuals / companies / charities and governmental departments, who have been found in breach of the existing regulations such as the Data Protection Act 1998 (DPA) and also the Privacy and electronic communication (EC) directive 2003 (PECR). Please note that these are fines under the current regulations, even ahead of the more stringent GDPR coming into effect.